Orchard Park Dental since 2002. Dr. Kreway recently married his wife Lisa, in beautiful Cabo San Lucas. He has two amazing kids (Tyler 21 & Hanna 18), and an english bulldog named Oppie. When not practicing dentistry, he enjoys his family, travelling, and a variety of outdoor activities such as wakeboarding, dirt biking, and ATV'ing. Dr. Kreway graduated from the University of Toronto in 1996 with a doctorate of dental surgery, and since that time has devoted his energy in to changing the way general dentists practice. His common-sense approach and dedication to clinical excellence as well as integration of all the latest technology available, has made him truly unique in his field. Don't let the "KISS" (keep it simple *#@!) attitude fool you. He has pursued continuing education in implantology, including an Advanced Surgical Implantology Fellowship Program with the Pacific Implant Institute. Currently he is continuing his implant training in a mastership program in conjunction with Loma Linda University and UCLA, with an emphasis on non-invasive and computer guided surgery. 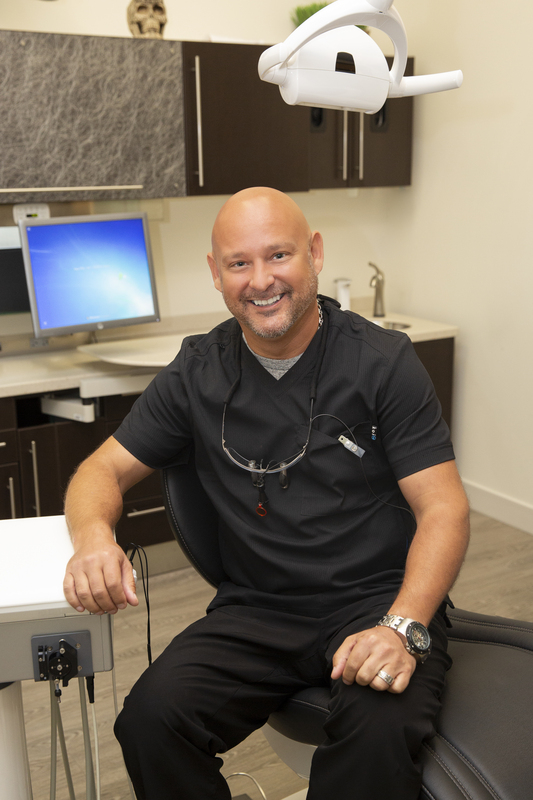 In addition to surgery, he has pursued education in the areas of advanced restorative and cosmetic dentistry, as well as many years in association of laser assisted surgery and 3D radiology, providing Dr. Kreway a very well rounded skill set to problem solve your oral health needs. Keeping with our Practice Philosophy of "Keep It Simple", Dr. Kreway determines your needs and preferences, offers the simplest, most elegant, cost effective solutions to address your oral health needs. That being said, as the simpler approach is always an option, more evasive options are also available. Giving You the opportunity to enhance your smile to whatever degree you feel comfortable. If you ever do not understand an aspect of treatment or have any question at all, please feel free to ask Dr. Kreway or any of the OPD team members.